Barry serves as Executive Director for Equity in Student Achievement with Guilford County Public Schools. In this capacity, Barry is spearheading a set of equity-related strategies for the district. Prior to joining the Fellowship, Barry served as a Student Support Coach and Consultant for Turnaround For Children in Washington, DC. In this role, he coached teachers and administrators from all backgrounds on behavior management systems and classroom management strategies for students impacted by trauma. Barry previously served as Dean of Student Support at a Tier I DC charter school, where he was the lead administrator for discipline and attendance issues, parent and community engagement, and college preparation. In this role, Barry created and implemented a schoolwide behavior management system, parts of which are still being used today. Barry is a 2001 Teach For America-Los Angeles alumnus and a former TFA –Bay Area Program Director. 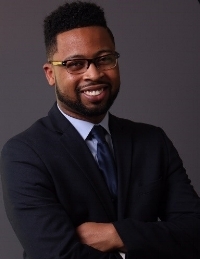 Barry has also served as the board co-chair for the TFA-DC Collective, which works to support corps members and alumni of color in the Washington, DC region. Barry holds an M.A. in Elementary Education from Loyola Marymount University and a B.A. in Psychology from the University of North Carolina at Chapel Hill.